Beetroot is most often eaten cold where it adds a tasty splash of deep red to summer salads. The variety on the left is 'Wodan'. Tolerant of most soils. Sun or partial sun. 10 weeks for common round types. 18 weeks for long types. 12 round types per metre (yd). 6 long types per metre (yd). Beetroot can also be eaten as a hot vegetable, it's also great for chutney. With a high sugar content it's an ideal ingredient for home-made wine. Finally, it stores very well, making it available for a massive six months of the year. 'Beet' that for versatility! If you are not yet a connoisseur of beetroot, go for 'Bolthardy'. This variety is resistant to bolting and can be sown as early as the weather permits. It keeps extremely well, lasting into early Spring - the flavour is excellent, fresh and sweet. The table below lists some other varieties recommended by GardenAction (click on the variety names below for a picture). Bolthardy Round / globe Deep red The best - see comments above. Golden Round / globe Orange / Gold A good tasting Victorian type of beetroot. The leaves are tasty when boiled. Red Ace Round / globe Deep red Maincrop, very strong grower. Wodan Round / globe Red Good all-rounder. Message: Indeed. They are attractive in salads. Message: Grace, they sound like Chioggia, an Italian heritage variety if I remember correctly. The pink and white is only when raw, when cooked they turn a uniform pink colour. Quite tasty raw though, grew them last year. 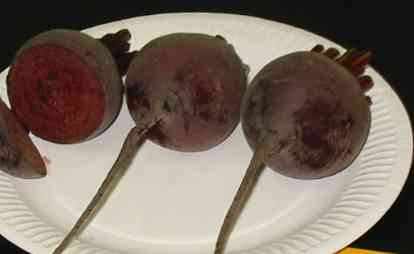 Message: In response to Rick Hughes, beetroot all winter if you store them in a bucket or container full of sand.Make sure they are completely covered by the sand. Message: My name is Tonny Kizza, a Ugandan and having read some information about Beetroot and working with an HIV/AIDS community, Orphans and vulnerable children plus the elderly, feel the desire to grow beetroot for improvement of thier diety and health. I have no experience about the plant, not even having the seeds. Few can afford buying it since its expensive here but we can grow it in our kitchen gardens a scheme we put up in our homes. With this mail I'm asking for support interms of seeds and some literature so as to anable us grow the plant. 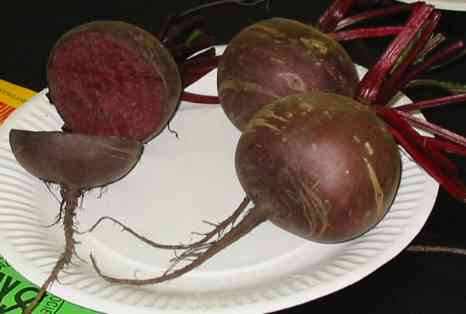 Message: have pulled up a couple of my 12 week container grown bolthardy beets, and they are all tops. Am I too early or have I spoiled them by keeping them in my greenhouse ? Message: can i eat beetroot leaves as salard? 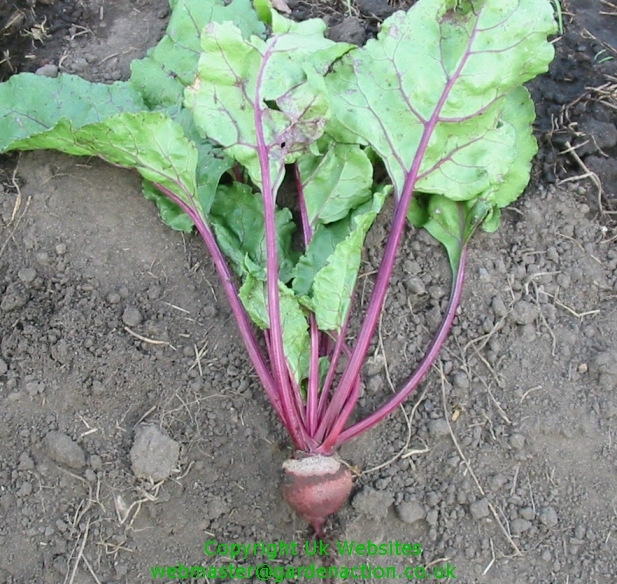 Message: Planted 3 rows of beetroot this year - followed tip of sprinkling salt on plants when shoots first appear. Fantastic crop ... picked loads of baby beets .. and for past 2 months been pulling beets about size of large Oranges. Very tasty ... not at all woody. Not sure whether I ought to pull rest before any frost, but will they keep without cooking ? Message: Used raised veg bed for the first year filled it with a mixture of good quality top soil, compost and soil inprover purchased from local garden centre. Used soil ph tester reading is 6 slightly acid. I have been very disappoited with Beetroot growth very small also lettuces seem to be slow to develop and are dieing off? What am I doing wrong? Can anyone please help me? I used new good quality seeds.